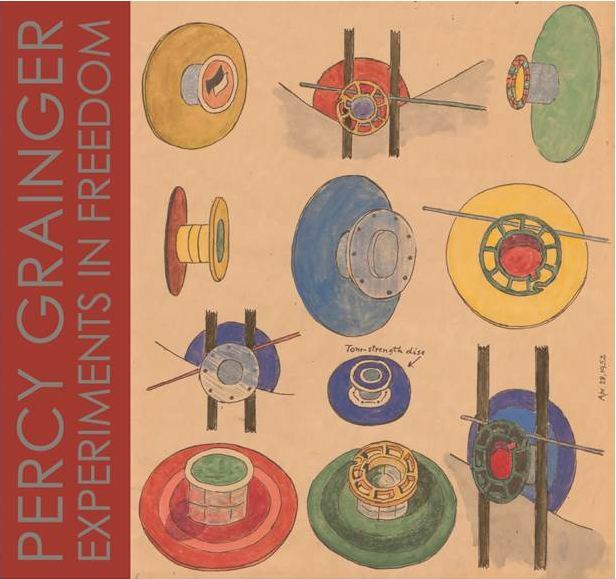 Percy Grainger's last great adventure into experimental music saw him attempting to build extraordinary music machines that would revolutionise ideas about making and experiencing music. In a collaboration between artist Michael Candy and musician and composer Rosalind Hall, these pioneering instruments have been recreated so that audiences can play and hear Free Music for themselves. Located within the University of Melbourne's Grainger Museum are three striking recreations of the machines the composer produced in his attempt to realise the gliding tones in his mind. For the first time, audiences are able to actually play and hear these instruments. You can wind and rewind the gliding oscillations of the Kangaroo Pouch Machine, operate the Reed Box Tone Tool powered by air suction, and watch as light turns to sound in the Electric Eye Tone Tool! Rosalind Hall is a musician and composer exploring the possibilities of acoustic and electronic instruments. Michael Candy is a kinetic/new media artist investigating unexpected relationships between environments and sound. Experiments in Freedom was presented as part of the University of Melbourne's Cultural Collisions, presented in association with Melbourne Festival, from 7 to 23 October 2016. Due to the success of the festival and interest in the exhibition, it has been extended to January 2017.